Charcoal is one of the biggest trends in the beauty and wellness world right now, touted as much for its skincare as its detoxifying benefits. In Asia, however, charcoal isn't just a featured ingredient in face masks and juice cleanses—it's incorporated right into textiles. (Case in point: As part of my wedding gift, my parents bought Hubs and me a new set of bamboo charcoal bedding from Asia.) 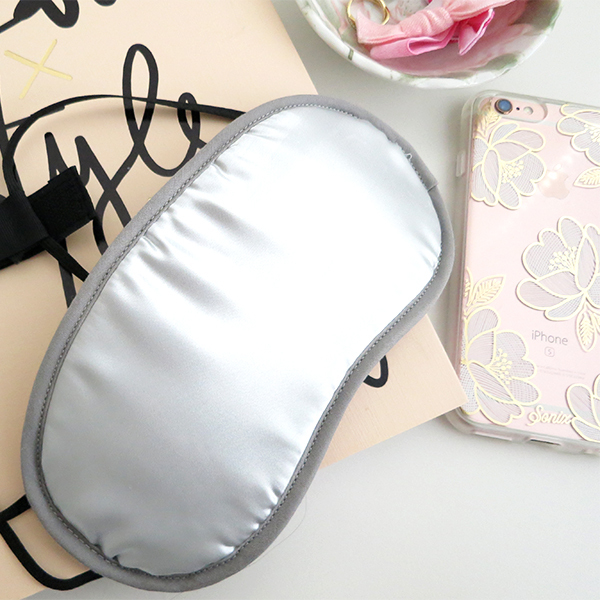 So when Korean beauty purveyor Peach and Lily reached out to me and asked if I'd like to review something from their site, naturally my interest was piqued by the Morihata Binchotan Charcoal Eye Mask ($23). 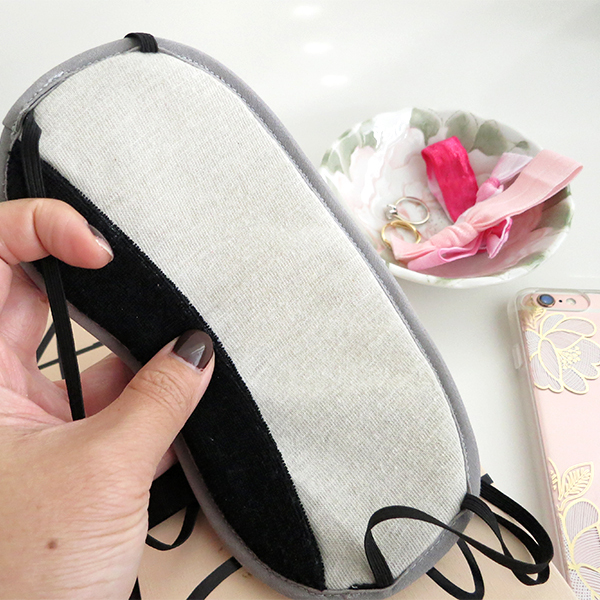 Would an eye mask featuring charcoal-infused fabric be superior to a regular eye mask? First off, let's go over the claims on the packaging: "The Binchotan Charcoal Eye Mask helps relieve fatigue by easing tension and pressure around the eyes and employing the benefits of activated charcoal for an improved rest. A natural purifier, activated charcoal absorbs excess oil and toxins from the skin and emits Far Infrared Rays, which gently relax the muscles around the eyes and stimulate blood circulation to reduce puffiness. [...] Use daily for relaxatin, meditation, stress relief, airplane travel and most importantly, a good night's sleep. Your entire body will feel the benefit." Lofty claims about activated charcoal aside, this is a very well-constructed, thoughtfully designed mask. When I first opened it, I was immediately struck by how luxe it felt. The front is made of silky grey material with plush, pillowy layers underneath. The layer that actually touches your face is made of light grey, charcoal-infused organic cotton, and there's a black velour strip across the bottom so the mask better conforms to one's face and blocks out light. 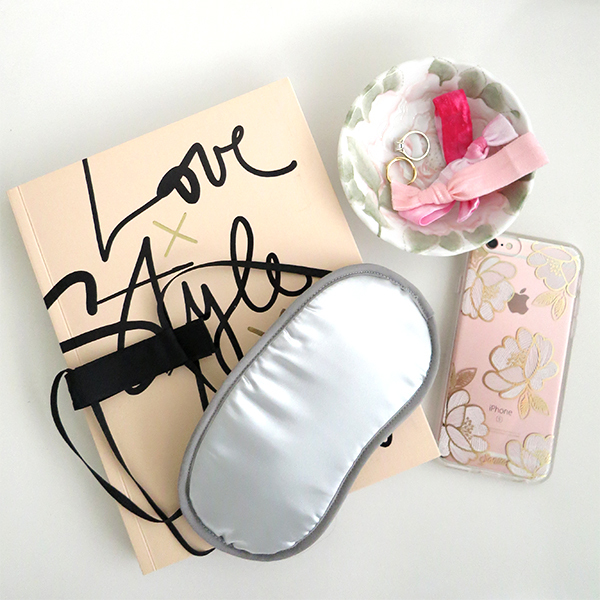 I've seen flimsy, pretty-looking eye masks retail at twice the price that don't seem as nicely made as Morihata's. The straps are just as thoughtfully executed. 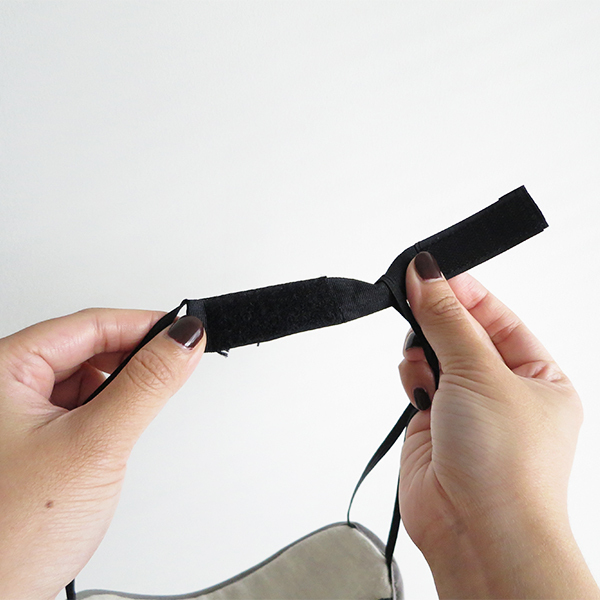 Instead of one fixed length strap that might be too loose or too tight, there are two thin loops of elastic secured by an adjustable Velcro enclosure in the back. 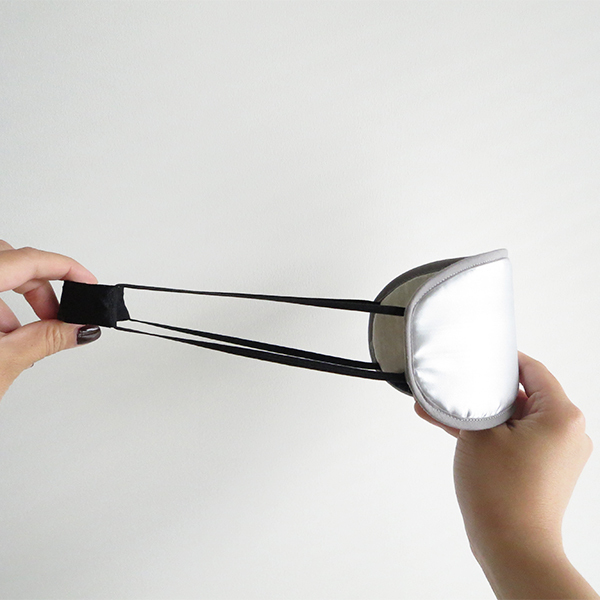 This is a secure-fitting mask that won't come off at night, but because the pull is distributed across thin lengths of elastic instead of one thick strap, it won't feel tight or uncomfortable. I've been testing this mask for 3+ weeks now. I love how luxurious it feels and all the little design details, although I did need to adjust it so it fit securely enough across my face to block out all light. The plushness of the mask and the adjustable fit result in light yet noticeable pressure across the front of my eyes. I think that pressure (like someone gently resting a hand across your eyes) does more to relax, soothe, and refresh fatigued eyes than the activated charcoal. I haven't noticed any improvements to eye puffiness or dark circles, but the mask feels quite clean despite regular use (whereas my old eye masks would start to feel gunky with face oil, serums, and lotions by this point and require a wash), which means the activated charcoal's purifying benefits really do work. 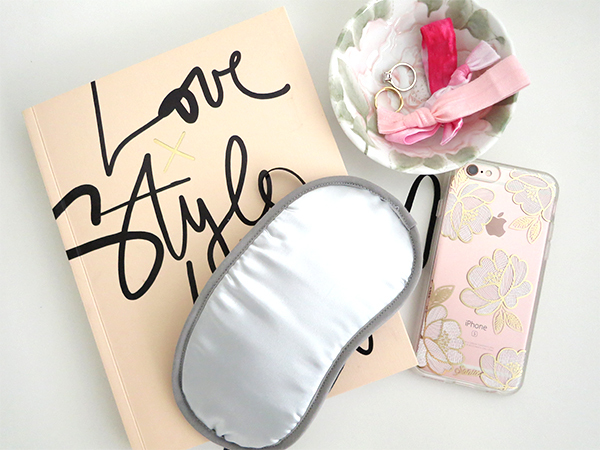 If you're looking for an eye mask that combines fashion with function and is a good value, the Morihata Binchotan Eye Mask is it.